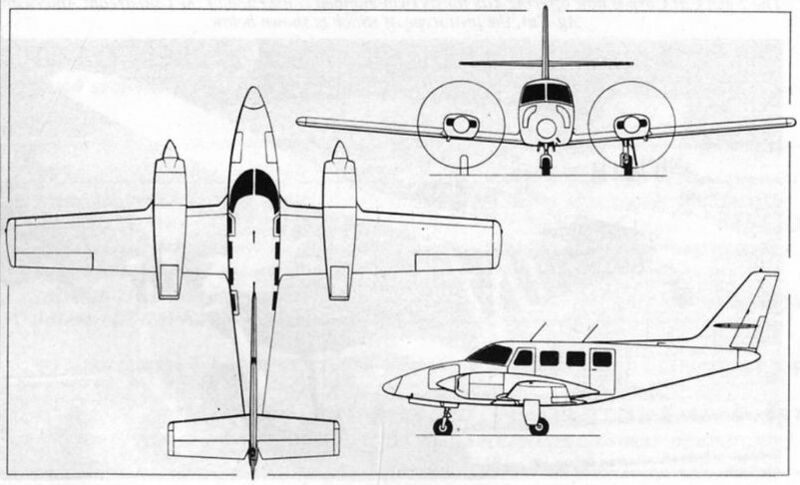 Photograph of the Cessna 335. 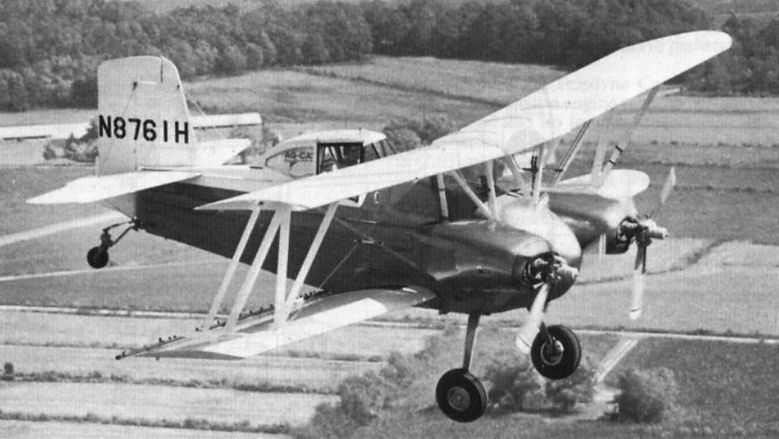 Cessna has yet to publish detailed specifications for its new light twin, the six-seat Clipper, and the three-view below is provisional. Preliminary data include a span of 38 ft 10 in (11,84 m), wing area of 189 sqft (17,56 m2) and max speed of 215 kt (398 km/h) at 20,000ft (6100m). 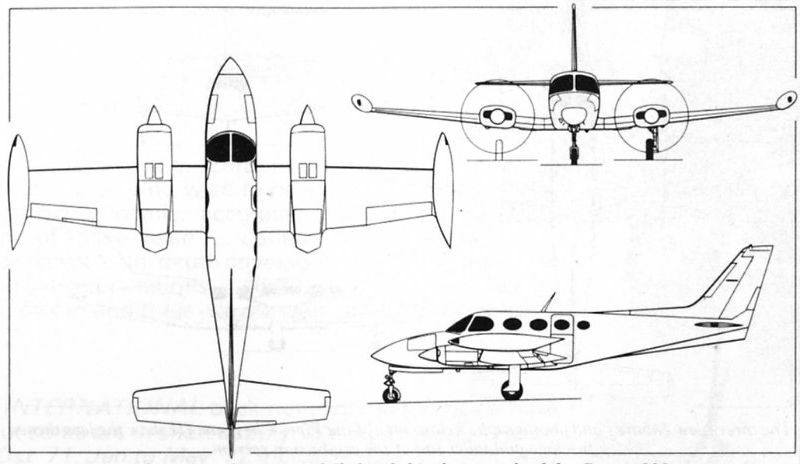 Three-view drawing of the Cessna 335. С 1980 года самолет Model 207A, известный как Stationair 8, мог перевозить восемь человек. На самолете установлен ТВД Lycoming мощностью 310 л.с. 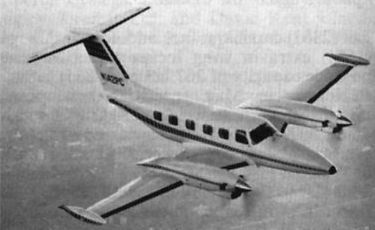 The Cessna Stationair 8, a newcomer to the Cessna single-engined range for 1980, with seating capacity increased to eight. Three-view drawing of the Edgley Optica, a prototype of unusual design that is now undergoing flight testing in the UK. The Twin Cat Corp is now offering kits for its twin Ag-Cat, the prototype of engined conversion of the Gulfstream American which is shown here. 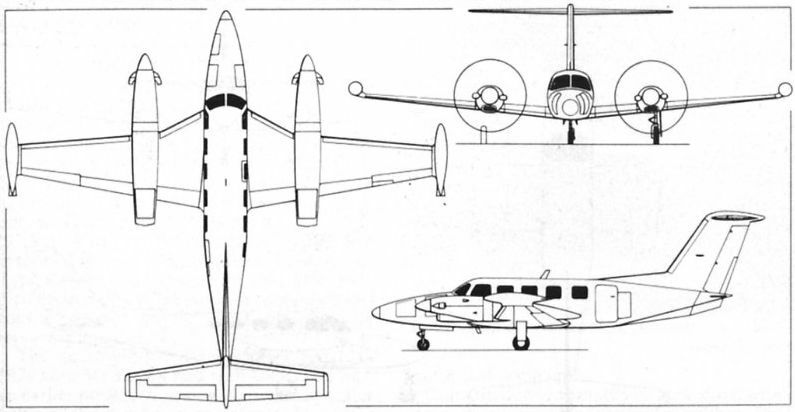 The three-view of the Piper Cheyenne III show the lengthened fuselage and taller tail of the production version.